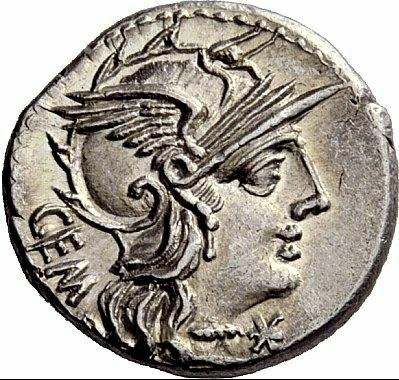 Caius Aburius Geminus was one of the moneyers for the year 134 BC. He is not otherwise known. The gens Aburia was a plebeian family at Rome during the latter centuries of the Republic, and the 1st century of the Empire. The first member of this gens to achieve prominence was Marcus Aburius, praetor peregrinus in 176 BC. The Aburii are known to have used the praenomina Marcus, Gaius, and Decimus.